Each time one of Steve’s books left the table, my son reached in a box, pulled out another book, and topped off the stacks. 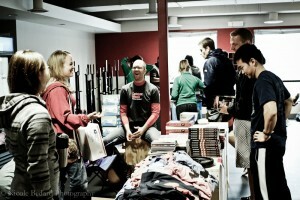 We were at the NoVa Open, invited there by Brian Wilson of Potomac CrossFit. He showed my son how to do a “muscle up” on the rings, and then adjusted the rings for my son’s height and helped him do two muscle ups in a row. Brian Wilson coaching Jen Navarro. Photo Credit: Copyright Nicole Bedard. You should come next weekend and you can sell some of Steve’s books here. Umm… He’d already given me so much of his time, he earned mom points for his kindness toward my son, and then he offered an invite to reach additional readers. He’d given so much away. Why was he being so nice? I want to come, but I’d like to give them away and I know Steve will feel the same way. CrossFit has been nothing less than nice to me, to my son, and to Steve. I felt like a fraud, thinking about showing up with something to sell. Neither Steve nor I belong to a CrossFit box. We’re outsiders. It felt wrong to be invited to join this community two Saturdays in a row, and then to try to sell to them. What we needed, instead, was to say thank you. So I contacted Steve about giving away a bunch of books, including advance copies of The Profession (which won’t be out until June). Steve was cool with it, so I contacted Seth Godin’s team, asking if I could bring a few copies of Poke the Box . Ishita Gupta came through with those. Saturday rolled around again, I piled the boxes in the back of my van, and off my son and I went, excited to give away the books. And when we got into the box, it was the same crazy cool energy. Loving the morning at Crossfit Potomac. That's me in the red jacket and Patrick Smith in the middle. Photo Credit: Copyright Nicole Bedard. We started unpacking the books, slotted right between the t-shirts and Patrick Smith’s table for Catalyst Meals. Then Andrew Z., a fan of Steve’s books, came by and we started talking. He was enthusiastic and calm and nice and all that good stuff I was coming to expect from CrossFit. I was psyched by such an immediate and positive response. People stared at the table from afar. And I got worried and wondered if this wasn’t the right thing to be doing. I kept mentioning the books were free. A few people came up. And then a few more. They wanted to know: Why are you giving these books away? They were questioning me, just as I had questioned Brian’s kindness (sorry Brian). I explained how Steve and I were new to CrossFit, how I’d feel like a huckster if I showed up to sell to people there, that the books were a thank you, that we were interested in learning more about CrossFit, and wanted to get to know individuals within the community. Those that listened to me ramble through my why-I-was-there-with-books explanation started picking up books and talking a little more. Then the main event—”the heat” of the day—was up. I stepped away from the table to watch. I was surprised to see Andrew Z. among the group. He was calm, cool, and kind when we talked earlier about Steve’s books. He didn’t talk about himself, other than to answer my few questions. Didn’t volunteer that he was one of the elites in the room. No ego. I watched him compete, thinking about how much people give. And as we watched, I noticed a few people making their way to the table, looking at the books, picking up a few different ones to take home. Though I didn’t show up at CrossFit for an experiment on giving things away, I walked away with a few lessons—and it happened the Saturday after the launch of Do the Work , and the General Electric-sponsored free Kindle version of the book —AND, after I read a blog post asking if Do The Work could be considered a bestseller if it was being given away. Does it count if there isn’t an exchange of money? If FREE was enough, my kids would be loving the pencils that land in their Halloween bags, just as much as they love the candy. People have to want what you are giving away. There are those who take anything free that comes along, but most of us don’t. We have to want it. Otherwise, it becomes more clutter in our lives. It’s hard to convince others to go after that free thing. Walk up to the table and take a book. Go to the site and download the free thing. Sign up for an opp to receive some amazing whatchawannacallit. Instead of doing it, they ask tons of questions, not believing that thing they want is free. They e-mail and ask “is that right?” They see the $0.00 and think it is a mistake. And then when they do move, they do it on their own terms. Some people will walk up and accept seven different books from a table. And some want to do it on their own. They want to take their time, when no one is watching them—get in and then out. Attention is hard to find. It doesn’t jump at FREE. It has too many other options. “The shift that Domino is participating in re books is this: we’re trying to undo scarcity when it comes to great ideas that are often in books. If we can approach this with abundance instead, how will that change the conversation? 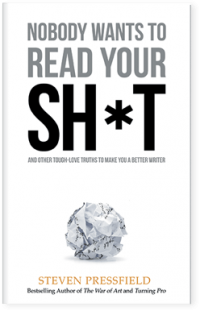 “Chris Anderson talks about this a lot in his book Free . The thing is, there are different products for different people. Right now, 99.9% of the population buys no copy of any book in book form. The idea, then, is to use the marketing potential of sampling, of virality, of free, to expose the book to perhaps 1% of the target market. It’s true, you make no profit on this, but you DO generate marketing value. I’ll jump back in here. ‘For 3 years you YouTubers have been ripping us off, taking tens of thousands of our videos and putting them on YouTube. Now the tables are turned. It’s time for us to take matters into our own hands. ‘We know who you are, we know where you live and we could come after you in ways too horrible to tell. But being the extraordinarily nice chaps we are, we’ve figured a better way to get our own back: We’ve launched our own Monty Python channel on YouTube. ‘No more of those crap quality videos you’ve been posting. We’re giving you the real thing—high quality videos delivered straight from our vault. What’s more, we’re taking our most viewed clips and uploading brand new high quality versions. And what’s even more, we’re letting you see absolutely everything for free. So there! ‘But we want something in return. “Three months later, the results of this rash experiment with free were in. Monty Python’s DVDs had climbed to No. 2 on Amazon’s Movies and TV best-sellers list, with increased sales of 23,000 percent. So there! In this past year-plus of Steve creating Writing Wednesdays, Warrior Ethos and other series, he’s increased book sales and visibility online. He’s given away books, time, his writing, developing a column once and sometimes twice a week, for which he isn’t being paid. He’s answering questions from other bloggers, responding on Facebook and has corresponded with thousands, doing his best to answer every e-mail he receives. And what we’ve seen is that his columns have been shared and have reminded readers of his other work. Some know him for The War of Art while others know him for Gates of Fire and his other novels. This past year-plus, the books have crossed into different audiences. He’s expanded readership. It just happened. We avoided asking people to buy books as much as possible. We just presented the info. and Steve gave away engaging, valued content. There weren’t many interested in the beginning—maybe a hundred or two readers visiting the site every day. And then it changed. Others started helping Steve share. Last weekend, I needed to leave two hours into the CrossFit competition to run my kids around. There was one hour left and still stacks of books on the table. Brian told me I could leave them, that he knew he could give them away to those not attending the Open. And then Patrick stepped up. When we started talking two hours earlier, Patrick saw Poke the Box and was familiar with Seth. 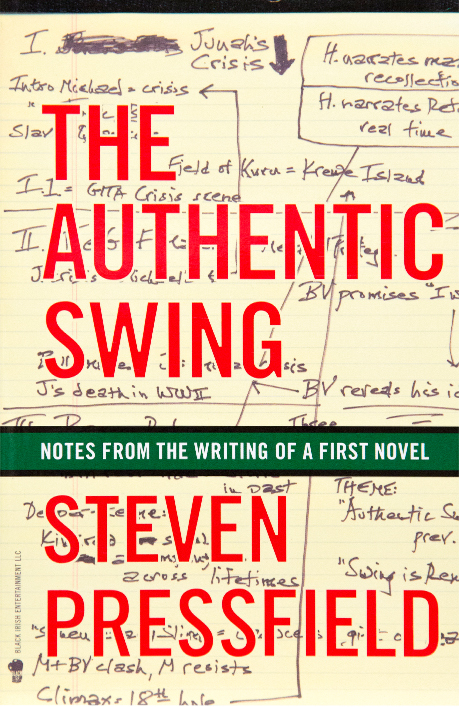 I mentioned that Steve wrote The War of Art and Do The Work, which Patrick knew, and when he asked about the novels, I suggested Gates and a few others. And that’s when I stopped questioning all together and left with a smile. A wonderful morning, learning from Patrick, Andrew, Brian and so many others there. Reminds me of that old saying about “what goes around coming back around.” It’s a bit of an experiment and you never know what’s going to come back at you, but it’s still worth giving that boomerang a nice hard throw. And if that boomerang is free, do everything you can to get it airborne. It’s not easy being free. *Thank you to Nicole Bedard for allowing us to run her images. She’s an amazing photographer. Enjoyed watching her in action, catching everything at the NoVa Open. ***And one last thank you to Brian Wilson for being so welcoming and inviting. The more he shares, the bigger a fan I become. Check out the image below. 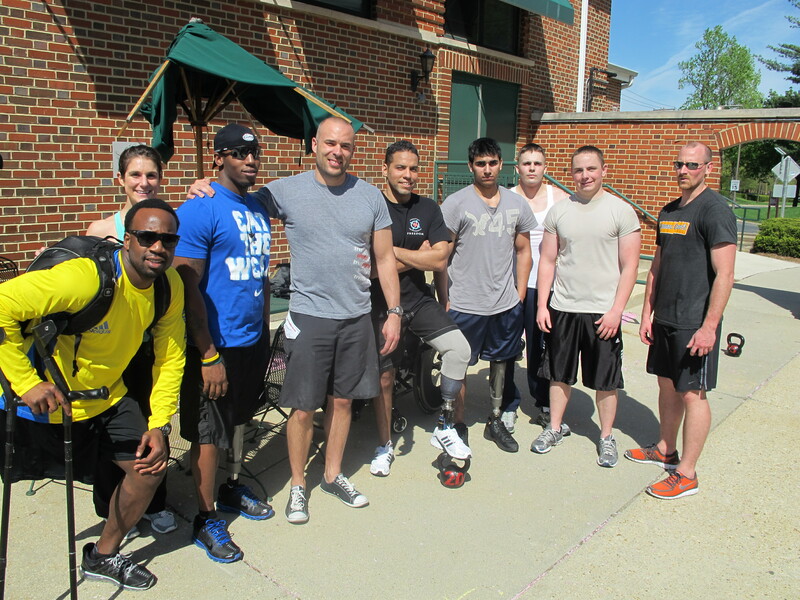 Brian Wilson and Dillon Behr coaching Crossfit at Walter Reed Amputee Center. Thanks, Ruben! It was a wonderful experience. And because they shared so much of themselves – for free – they have me interested in joining a “box” myself, and signing my kids up for their CrossFit kids program. That’s the value of sharing. What an awesome group of people! I’m glad you had another great experience with CrossFit folks. The posts here and the Domino projects have me watching and listening closely. The quality of work and delivery paths make sharing simple, though I imagine getting everything to that point on your end is anything but. Simple isn’t always easy, but Brian summed it all up when he said, “I want to.” Once that’s settled, the rest doesn’t have to be easy. Jeremy – In the beginning, we had 300 page views of Steve’s blog on a “high-traffic” day–and that’s not 300 visitors or 300 views of the same page. It was depressing. We valued those visiting, but wondered if we’d ever have more. We were focused on the numbers and struggling with the rhythm of the content. I’ve read comments from different bloggers about how checking the stats all the time is a waste of time, and comments from artists who never read reviews of their work – they keep truckin’ no matter what is said. Steve has always been awesome about keeping moving, but I struggled with the numbers and the comments and the content. I’m a huge fan of Steve’s work and was upset it wasn’t being shared. And then things took a turn. Once the focus was on sharing and working toward creating valued content, the numbers followed. I’d be a liar if I said I didn’t care about the numbers. But caring about the content and those we’re reaching out to is the first priority. When you reach out to communities within which you genuinely have an interest, it makes a difference. You can’t fake caring. Those within that community will smell a fake, so it is important to REALLY have an interest. Take the time to get to know them. With CrossFit, do I hope the members will ultimately buy books? Yes, I do. But it is important to us that CrossFitters know we’re not learning about them with sales as a final goal. We’re genuinely interested. If sales happen, great. If not, that’s ok, because the value for us is in knowing more about the community, having an understanding, and now a personal connection, of those within it. Timeline-wise, it took about a year for things to turn. We had some ups and downs learning what worked/didn’t work. Took some time to settle in and figure things out. A year is a long time in this I-want-it-now age, but it is time well spent. Get that first year out of the way and keep groovin’. Callie – Here’s some chronological feedback from someone who has followed Steve’s work for some time. I read the blog to keep up on the new ideas … so if you didn’t do the blog, I probably wouldn’t know what new offers you have for sale. So to your point about the 1% … we don’t need to have everybody on the planet buy our stuff … find the 1% that need it, love it, and get so much value from it, they’ll tell everyone about it. That was my big epiphany with my coaching and consulting business … and now I’m a hard working happy camper delivering value to the right people. Kevin – THANK YOU for sharing this. Just perfect. I wish I’d written it! 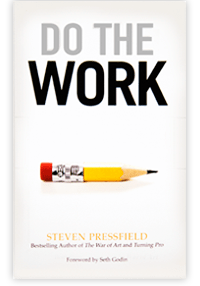 Fast forward to today, I recently opened a Crossfit gym, and am now reading Do The Work. Fighting my own battles with Resistance both in my training, my writing, and in starting my “box.” Once again, Steve to the rescue, my “magic raven” my “Medea” providing the words to push me through. And whudduya know, my passion for CrossFit finds itself here, Steven’s haven, the stronghold against resistance. It only makes sense. They’re fighting the same battle and love to see them aligned. Let me know how I can help advance this thing (forwarding stuff to my gym athletes, contacting other boxes, etc.) Lets cross the Rubicon. Ricky – Thank you for posting this reply. It’s nice when different passions overlap! Best to you for your writing, training, and starting your new box. Callie – thanks so much for coming by and participating in our community. Happy to have you aboard! And thanks a ton for sharing us with your community, great to see we have a lot of things in common. Brian – I’ll never be able to thank you enough. GREAT way to spend rainy Saturdays – or, really, any other day! If you get down to Ocean City this summer, come see us. We have an awesome community that is not unlike what you’ve experienced already with CrossFit. BTW – I’m a HUGE Pressfield fan and have been for years! So glad to see the tie ins. Callie – what a great post! After talking to you, it was clear that you were giving the books away as a gift and expression of appreciation. That very human motivation immediately connected me with you and Steve and made me want to help. Not to mention it was a fantastic way to get introduced to some of Steve’s work I wasn’t familiar with. You’ve definitely created a loyal fan! Cool post, Callie. Maybe it’s time for you to get a muscle-up too like your son? One of the best things about CrossFit is it’s ‘free’. The workouts are right there online, the instruction, the science, it’s all there and it’s all free. 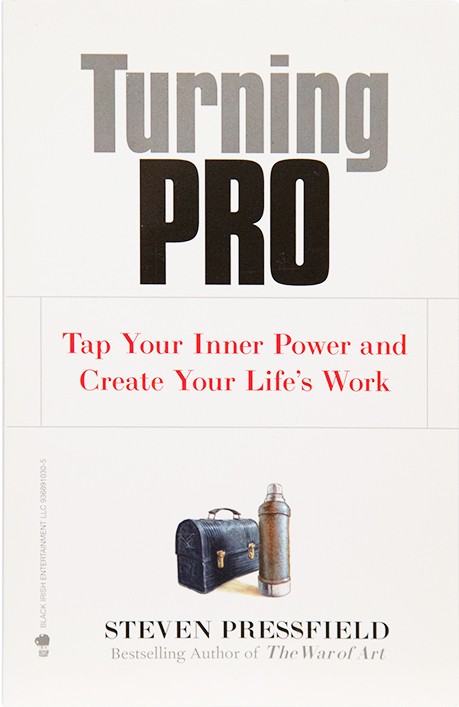 I can’t wait to finish “The Profession” and “Do the Work”. Keep up the great posts – I’m learning a lot. Glad you had a great experience at the NoVa Open. I think for too long people have used ‘free’ as an inducement trick and then delivered ‘cheap’. If any community is up for the ‘unknown and unknowable’ it is CrossFit but that doesn’t mean they’ll just glom on to anything that presents itself. So “Free” today is just another four-letter word. I think the word you and the CrossFit community are seeking here is TRUST. That bridge is either crossed with a guide or with enough frequency that it becomes known, accepted, and eventually sought after. I have no doubt the spirit in which Steve writes resonates with the spirit and individuals one finds within CrossFit. It is only a matter of introductions, familiarity, and dialogue until your two roads merge. Keep the momentum! Btw, two muscle ups?! Wow, your son’s a firebreather and excellent coaching Brian! 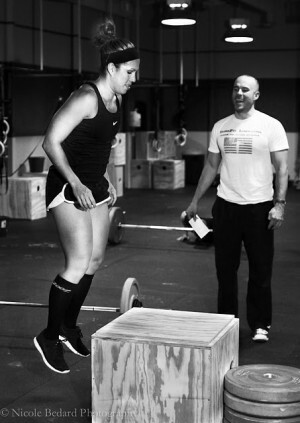 CrossFit and its people are so awesome. I am honored to associate (and work out) with some of them. Great and thought-provoking post.